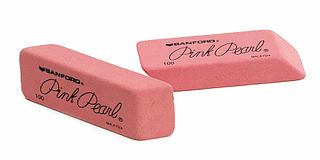 Rubber Eraser Day reminds us that to err is human, but to be able to make your mistakes disappear is pretty cool divine. At first, we thought that the choice of the April 15th date might have had something to do with Tax Day as we wouldn't be surprised if the inspiration for the eraser had come to someone while doing their taxes. Though on researching the history of the eraser, we found that on April 15th, 1770, Joseph Priestley had described the use of vegetable gum to remove pencil marks. He called the device a "rubber" which is believed to be the first eraser. It would take another 88 years before the eraser found its way onto the end of the pencil with Hymen Lipman's patent of a pencil with attached eraser on March 30th, 1858. This page was last modified on 5 March 2013, at 10:04.